For the second time in the space of a month, the Queen has expressed her concern about the state of the national debate as the UK edges towards the moment it leaves the European Union. She warned about the challenges facing the country at a time when there is political stalemate at Westminster. The Monarch said people should follow "tried and tested recipes" such as "speaking well of each other and respecting different points of view". It would appear that the political crisis caused by the Brexit deadlock, the increasingly angry tone of the national debate as well as the hounding of some MPs by protesters has all led the Queen to express her concern, once again, in public. She was speaking at the Sandringham Women’s Institute today – an event the Queen attends every January while she is staying on her Norfolk estate. “Of course, every generation faces fresh challenges and opportunities”, she said. Other senior members of the Royal Family are considering joining the Queen in the coming weeks to call for greater tolerance and more understanding of opposing views. It suggests they, too, are worried by the changing nature of the public discourse in the UK and the impact it might have on community cohesion. In her traditional Christmas Day message last month, the Queen urged people with "deeply held differences" to respect each other’s views and be more understanding. Less than a month later, she has felt the need once more to ask people to show more respect. 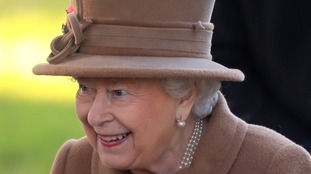 The Queen will stay in Sandringham until the date of her father’s death, Accession Day, on 6 February.